During the 20th century, film was one of the most widely spread and popular cultural products. But even in the heydays of the 1950s, films were not distributed, viewed nor experienced everywhere in the same way. For the study of cinema as a cultural practice, historical research into the experience of cinemagoing is a quintessential area of research. This panel will present the AHRC-funded European Cinema Audiences project, a comparative research that explores European film cultures in the 1950s in seven mid-sized European cities. While some European institutions have been working on large national datasets, up to now there is hardly any comparative research. In this context, our project will re-evaluate the popular reception of film using an ethnographic audience study while reconstructing the film programming and exhibition structure in these seven cities. These will be used as case studies in order to explore cinemagoing experiences in cities of similar size and film exhibition structure, but different film cultures. The project will make use of innovative digital tools to construct a digital archive, and for data analysis, which will be available as a model to other researchers for comparative work. 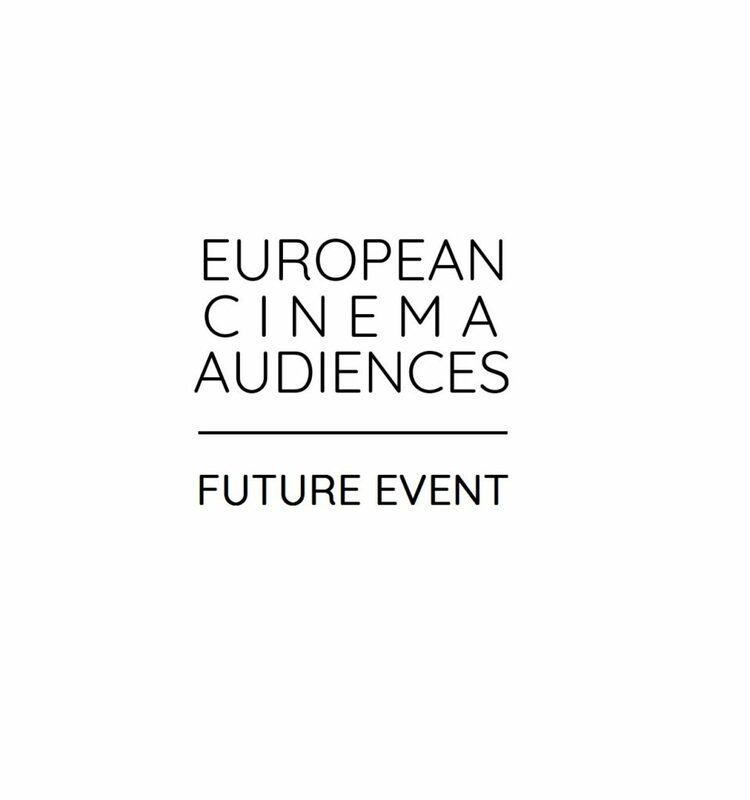 This paper will present the European Cinema Audiences project’s aims and objectives, and its hope to be used as a framework for other comparative studies, in order to develop a pan-European project on film popularity, exhibition and reception. European Cinema Audiences created a Digital Archive that will include the 140 video-interviews all subtitled in English, a database of archival and contextual material, a virtual research environment to facilitate collaborative and further comparative research, a project blog and a space for contributions from members of the public on their cinema-going memories. This paper focuses on the database of the Digital Archive created in collaboration with local archives, where cinemas across the cities under scrutiny are mapped via digital interactive maps, and contextual material – such as photographs, exhibition and programming material, press accounts, adverts and articles in the popular press and in cinema magazines – are integrated and used to articulate the oral history. These (visual) data are used to supplement the oral history collection, in order to identify traces of cinema-going. Moreover, making these materials universally accessible through a digital archive connected to the ECA programming and oral history data is key, thereby ensuring wide dissemination both of cinema memories and of economic data of the period. The archive is aimed at both the academic community and at the general public. In this paper we will describe how the database of the Digital Archive was designed and built and demonstrate its use as a research tool. First of all, the Digital Archive was used to stimulate the memories of the interview respondents. Visual-evoked memories facilitate participants to feel more “brought back” in relation to the original period and help episodic memory to recall other facts (Treveri Gennari 2018). The use of the Digital Archive made clear that the audio-visual medium had a powerful effect on participants, whose collective as well as individual memories were triggered by the viewing of memorable photos of stars, maps of their city’s cinemas, pictures of the venues, newspaper clippings of premieres or weekly film venue flyers. Secondly, the database of the Digital Archive as a research tool is used for visualizing and analyzing data within a virtual research environment. To conclude, the paper evaluates the Digital Archive as a research tool. Daniela Treveri Gennari, “Understanding the Cinemagoing Experience in Cultural Life: The Role of Oral History and the Formation of ‘Memories of Pleasure’,” Tijdschrift voor Mediageschiedenis 21, no 1 (2018): 39-53. In their reflection on the status quo of New Cinema History, Biltereyst and Meers argue that most of the research concentrates on specific case studies, largely focusing on practices of film exhibition, distribution and consumption in particular cities, neighborhoods or venues (Biltereyst & Meers, 2016, see also, for example, Van Oort & Pafort-Overduin, 2018). Comparative perspectives are thus crucial to understand larger trends within which local actors operate. Such comparative perspectives have been encouraged by the advancement of digital tools, sources and methods within the humanities, that allow for the collection, processing and analysis of larger datasets (Noordegraaf, Lotze & Boter, 2018). Drawing on the work done within the framework of the international research project European Cinema Audiences, in this paper we address the challenges of collecting, processing and analyzing film programming data for seven European cities for the years 1951-1953. Given their location in North and South Europe, as well as in the former Western and Eastern Bloc, we suggest that programming strategies not only differed because of locally defined audience preferences, but also because of different kinds of top down regulations, either imposed by the industry itself (distribution strategies) or by the state. The aim of the paper is twofold. Firstly, we will reflect on the collection, processing and analysis of the film programming data for the different cities and address the methodological challenges. Secondly, we will present the results of a preliminary analysis of the datasets. We will discuss data related to, for instance, the country of origin of the films screened to assess the predominance of certain national films on local screens. On a comparative level we will also look at case studies of films that were screened in all of the cities taken into consideration by the project, and will discuss issues related to the frequency and longevity of these films on local markets as an indicator of audiences’ preferences. Biltereyst, D. & P. Meers (2016) ‘New Cinema History and the Comparative Mode: Reflections on Comparing Historical Cinema Cultures,’ Alphaville 11 (Summer): 13-32. Noordegraaf, J., Lotze, K. & J. Boter (2018) ‘Writing Cinema Histories with Digital Databases: The Case of Cinema Context’, Tijdschrift voor mediageschiedenis/Journal for Media History, 21 (2): 106-126. Van Oort, T. & C. Pafort-Overduin (2018) ‘New Cinema History in the Low Countries and Beyond: An Introduction,’ Tijdschrift voor mediageschiedenis/Journal for Media History, 21 (1): 10-18. Recent academic debates within the field of New Cinema History have highlighted a tendency to overlook the role played by the film in historical studies of cinema and its audiences (Aveyard 2011; Biltereyst 2018). Our paper aims to address this gap by moving towards a more film-centric analysis of the cinema-going experience and investigating the place of film in cinema memory. We will draw from and expand Annette Kuhn’s typologies of cinema memories (2011) with reference to aspects such as identification with stars and characters, performance, technical aspects, as well as plots, scenes, and film directors. We will be using the oral history (over 1000 questionnaires and 300 video-interviews) collected both in the Italian Cinema Audiences (2013-2016) and European Cinema Audiences (2018-2021) projects to examine how films were remembered and discussed by audiences who used to go to the cinema in the post-war period, a time in which film was one of the most widely spread and popular cultural products. Italian Cinema Audiences provides the first study of cinema audiences in Italy in the 1950s by analysing film-goers’ memories and contextualizing them with box-office figures and film industry data. Expanding on the geographical and cultural scope of this research, European Cinema Audiences intends to adopt a comparative research model to re-evaluate the popular reception of film in seven mid-sized European cities in the same period. Both projects put audiences at the centre of the cinema-going experience and aim to explore the importance of film in everyday life. Using datasets from both a national and a cross-national project will allow us to compare how films are remembered across different cultural contexts. We will propose a new taxonomy of film memory, reflecting contents, modalities of recollection, and functions of memories of films in order to re-examine the place of film in cinema memory. Aveyard, Karina (2011), The Place of Cinema and Film in Contemporary Rural Australia, Participations 8(2), pp. 294-307. Biltereyst, Daniel (2018) ‘Audience as palimpsest. Mapping historical film audience research’, Researching Past Cinema Audiences: Archives, Memories and Methods, Aberystwyth University, 26-28 March 2018. Kuhn, Annette (2011), ‘What to do with Cinema Memory?’, in R. Maltby, D. Biltereyst, and P. Meers (eds. ), Explorations in New Cinema Histories: Approaches and Case Studies, West Sussex and Malden, Wiley Blackwell, pp. 85-97. Daniela Treveri Gennari is Reader in Film Studies at Oxford Brookes University, UK. She is author of several publications on film exhibition and audiences, and Principal Investigator of the AHRC-funded European Cinema Audiences: Entangled Histories, Shared Memories project. Lies Van de Vijver is a postdoctoral researcher at the Centre for Cinema and Media Studies/UGent. She is currently editing Mapping Movie Magazines and working on a book on history of cinema culture in Ghent. She is is project manager and Co-Investigator of the AHRC-funded European Cinema Audiences: Entangled Histories, Shared Memories project. Thunnis Van Oort is a media historian. He works as a post-doctoral researcher at the CREATE digital humanities research programme of the University of Amsterdam and at Oxford Brookes University in the AHRC-funded project ‘European Cinema Audiences’. He publishes in international edited volumes and in journals such as Film History, Historical Journal for Radio, Film and Television and the European Review of History and is managing editor of the Dutch media historical journal Tijdschrift voor Mediageschiedenis. Pierluigi Ercole is a Associate Professor in Film Studies at De Montfort University (Leicester, UK). Much of his research is grounded in audience and reception studies. He is a co-investigator for the Arts and Humanities Research Council (AHRC) funded project European Cinema Audiences: Entangled Histories and Shared Memories. Kathleen Lotze has been involved in media-related research projects at different Universities in Germany, Belgium, the Netherlands and the UK since 1999. Her main fields of interest center on histories of local film exhibition, distribution and consumption in relation to urban change as well as on the usage and development of digital tools and methods to study local cinema history. Results of her work have been presented at international conferences and have been published in several peer-reviewed journals and books. Silvia Dibeltulo is Senior Lecturer in Communication, Media and Culture at Oxford Brookes University, UK. Her work centers on screen representations of identity, specifically in terms of ethnicity and gender, film genre, audience studies, cinema heritage, and digital humanities.